Rex Tillerson says North Korea has "demonstrated some level of restraint"
Secretary of State Rex Tillerson on Tuesday said that North Korea has "demonstrated some level of restraint" since the United Nations Security Council unanimously adopted new sanctions on missile tests by the regime. 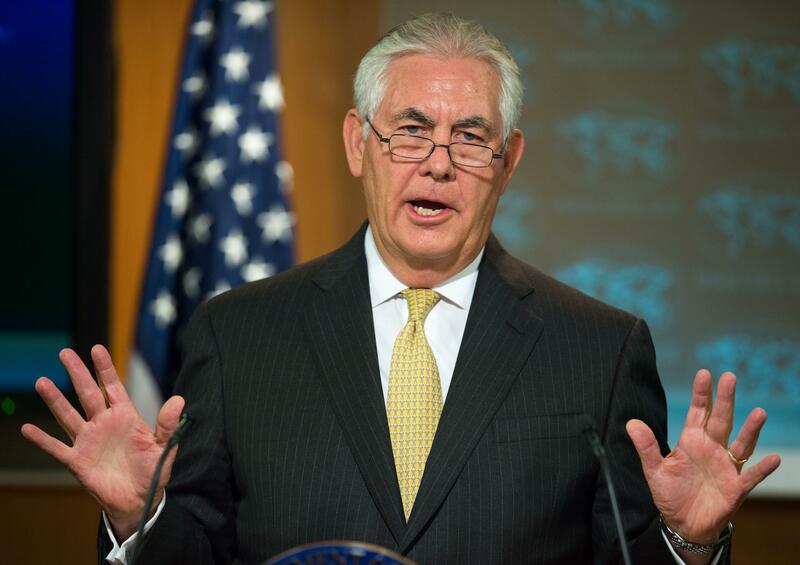 Speaking to reporters at the State Department, Tillerson said that it is worth noting that there have been "no missile launches" or other "provocative acts" by North Korea since that resolution was adopted. "I'm pleased to see that the regime in Pyongyang has certainly demonstrated some level of restraint that we've not seen in the past," he said. Tillerson said he hopes this is the beginning of North Korea being "ready to restrain their level of tensions" and he added, "Perhaps, we are seeing our pathway to sometime in the near future, having some kind of dialogue." Last week, North Korean leader Kim Jong Un backed off from a plan to launch four ballistic missiles toward Guam. The threat to launch the missiles toward the U.S. territory came after President Trump's "fire and fury" warning. It escalated to the point of Mr. Trump saying that the U.S. military solutions against North Korea are now "locked and loaded."